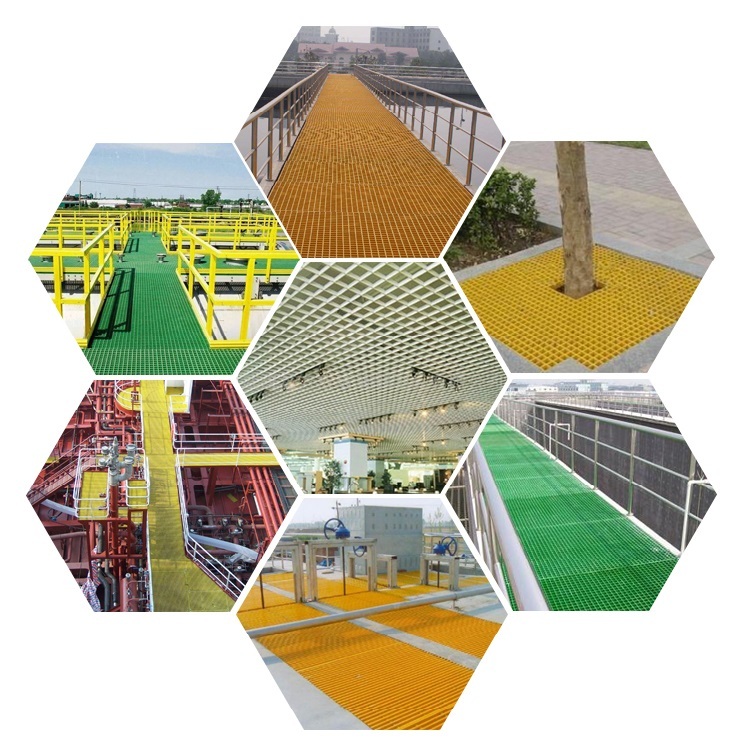 Fiberglass reinforced plastic(FRP) is a composite material manufactured by combining a matrix of resin and fiberglass.FRP is a kind of New Building Materials which as the choice of the developed city focus on environmental protection, energy saving and emission reduction.It has the advantages of high strength, corrosion resistance,light weight,long life and safety.All FRP grating is made to meet the highest international standards.It’s the ideal product in the corrosive environment,and also can be applied to civil construction facilities. Different types of resin provide their own different anti-corrosion properties, which could be used in different corrosion circumstance such as acid, alkali, salt, organic solvent (in gas or liquid form) and the like over a long period. Our special formula provide grating with excellent fire resistant performance. Our FRP gratings pass ASTM E-84 Class 1. The perfect combination of the continuous E-glass roving and thermosetting polyester resin provide grating with light weight and high strength and its specific gravity is only 1/4 of that of steel, 1/3 of aluminum. Its rigidity is up to and even exceeds that of steel. Different thickness and mesh size bring the client more choice. The high modulus of elasticity and various surfaces provided the super anti-skid performances. Its surface could be smooth surface, meniscus surface, grit surface and chequer plate cover which is suitable for different working places. High strength E-glass roving and high-grade resin provide the product super electric performance. Its electric break strength could reach 10KV/mm. There is no electric spark even when impact by tools, meanwhile it is non-magnetism. FRP Molded Grating could be used safely under the antiknock, diamagnetism and electric-resistance environments. 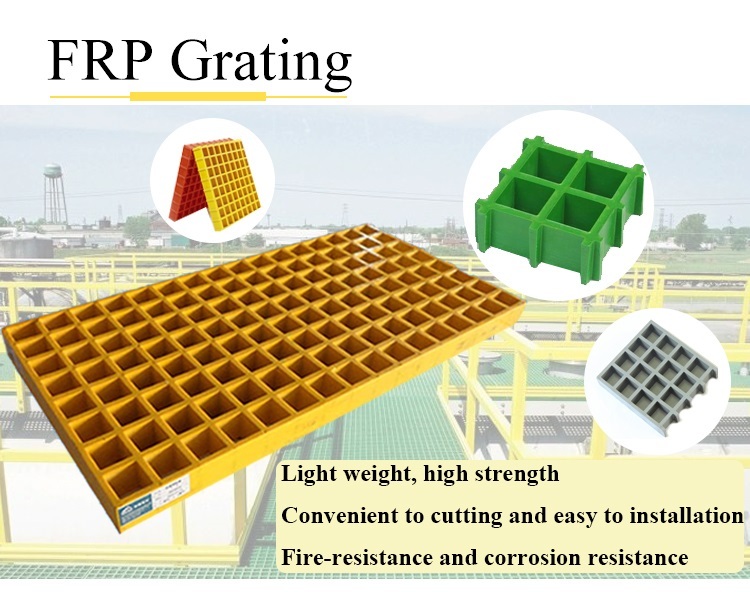 The high-grade resin and anti-ageing stabilizer provide grating long-life ageing resistant performance and the unique design make grating excellent self-cleanness function and keep its brightness and strength over a long time. The service life of grating could be 25 years.